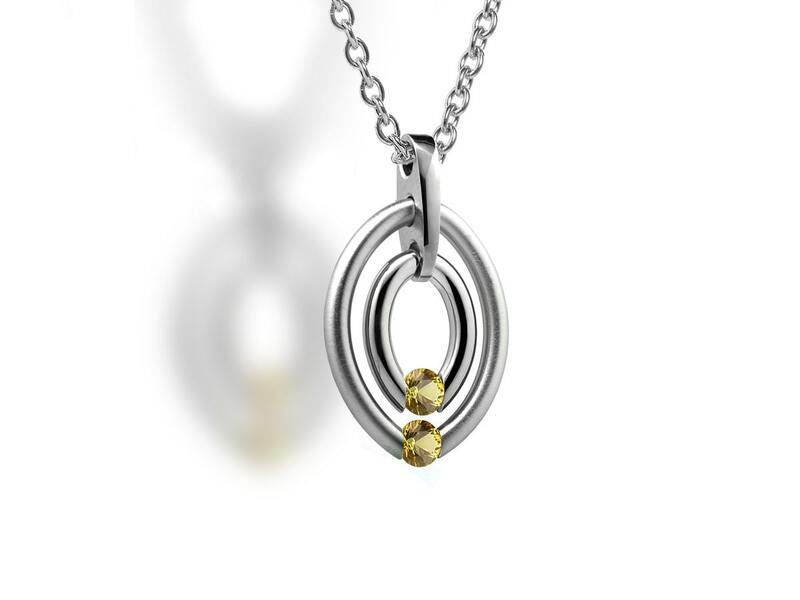 Elegant double circles necklace with two Tension Set Yellow Sapphire, made of Stainless Steel in in polished and brushed finish. Available with 2mm black braided cord OR 2mm black rubber cord OR 2mm Stainless steel chain. Please during check out indicate which one you prefer.. 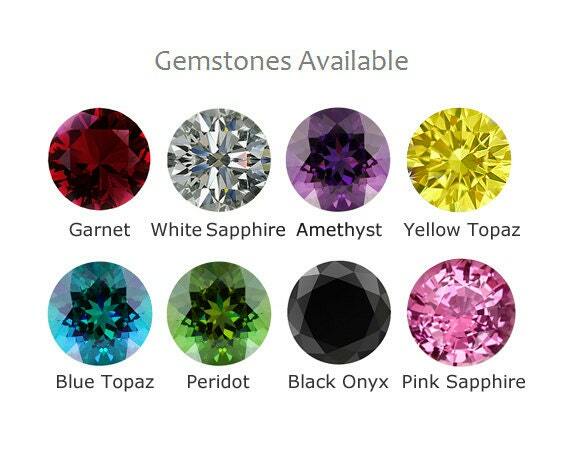 The Two Gemstones available are: Black Onyx, Peridot, Garnet, Pink Sapphire, White Sapphire, Blue Topaz, Amethyst. 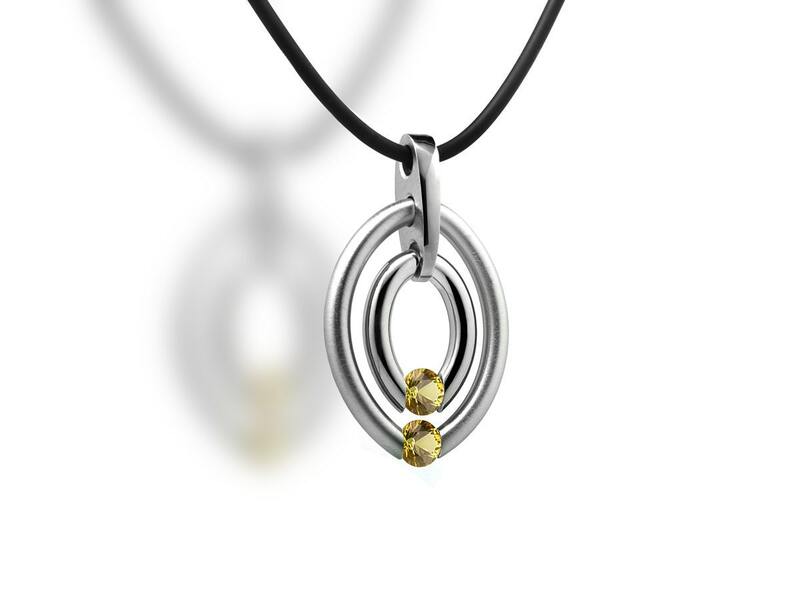 You can select TOP and BOTTOM Gemstone, they can be the same color or two different color, Ideal for 2 children. Pendant Long: 35mm 1 3/8"
Length available from 14" to 26"
> NOTE: This Necklace is MADE TO ORDER therefore will ship within 7 to 10 business days with Free USA Shipping. During checkout please type in the "message to seller" the Length and if you prefer the chain or the cord.